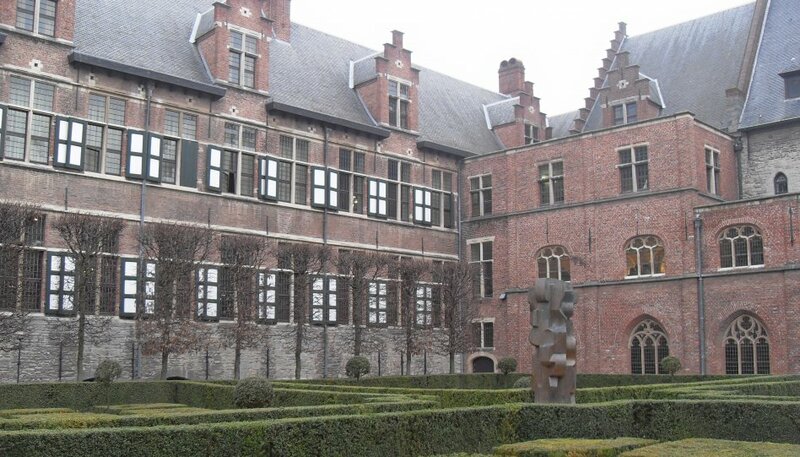 Ghent University is a top 100 university and one of the largest universities in Belgium. On our 11 faculties, you will find a wide range of training and research facilities in both the natural and social sciences. Photo ticker with slogan "Dare to Think" Ghent University (Ghent University) was founded in 1817 by King William I of Orange. Over the past 200 years, the University of Ghent had many eminent scientists such as Nobel Prize winner Corneel Heymans, Leo Baekeland, Joseph Guislain, Walter Fiers, Marc Van Montagu, Peter Piot, Marleen Temmerman, Etienne Vermeersch, ... You'll also find a lot of personalities among our graduates, such as Robert Cailliau (co-inventor Internet), Dirk Frimout (astronaut), Gerard Mortier (opera intendant), Peter Piot (United Nations), Jacques Rogge (former Chairman IOC) and Guy Verhofstadt (Minister of State). Today, Ghent University is a top 100 university with over 41,000 students and 9,000 employees one of the largest universities in the Dutch language. More than 100 academic departments offer more than 230 courses to. Disciplines such as biotechnology, aquaculture, microelectronics and history enjoy worldwide fame. Ghent University is a creative community of staff, students and alumni, connected by engagement, openness and pluralism.